Hello everyone, and thanks for joining us. We have a real treat for you today because we are getting to spend time with one of the most knowledgeable and highly respected doctors in the natural and alternative health fields. Dr Carlos Garcia operates Utopia Wellness, one of the most successful integrative and holistic focused medical centers in the United States. 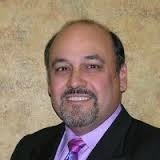 Dr Garcia specializes in treating cancer and its related diseases and is the author of the very successful book “Cancer is a Symptom: The Real Cause Revealed” (available from Amazon.com) and is also the co-author of the best-selling book “Cancer Free - 4th Edition” with well-known cancer expert Bill Henderson. When it comes to patient healing, Dr Garcia believes in adhering to one of the most important principles contained in the Hippocratic Oath, which is, first do no harm or injustice to the patient. Since 1996 his medical focus has been on alternative health care, which includes holistic medicine, integrative cancer treatments, Chelation therapy, bio-identical hormone replacement, iv vitamin and antioxidant therapy, and weight loss. In all of these areas, he uses natural and non-harmful alternatives to conventional treatments. Along with being a qualified medical doctor and Anesthesiologist, Dr. Garcia also holds certifications in Chelation Therapy from the American Board of Chelation Therapy and is a member of ACAM (American College for the Advancement of Medicine) and ICIM (International College of Integrative Medicine). You can view Dr Garcia’s full resume here… About Dr Carlos Garcia M.D. When it comes to natural and alternative treatments, this guy really knows what he’s talking about. Having practised for many years in conventional medicine before making the switch to alternative therapies, Dr Garcia has been able to see first-hand the distinct difference between the two modalities, along with being able to compare patient healing and success rates. So I suggest you pay careful attention to everything Dr Garcia has to say. You’re getting to hear from one of the best in the business. 1. 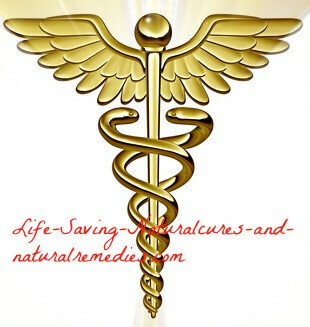 Good morning Dr. Garcia and welcome to life-saving-naturalcures-and-naturalremedies.com. We know you are extremely busy at the moment and we very much appreciate you taking time out of your schedule to talk with us and answer our questions. Would you mind starting out by telling our readers and followers a bit about your fantastic Utopia Wellness Clinic? Utopia Wellness is designed to help people with all types of symptoms and conditions who are seeking non-traditional, non-toxic medical treatment options. Traditional medicine works against nature, attempting to conquer and improve upon the system. We work with the body and enhance its innate ability to heal. Treating the entire body is paramount in our endeavors. This multi-prong approach focuses on the root cause of disease by addressing the physical and emotional issues. I believe our approach is unsurpassed by offering the safest, least invasive, most effective, and affordable options available. It is the way of the future and can transform a sick-care system into a health-care system that works. 2. You’ve opened your innovative IVitamin bar. This looks awesome! Can you tell us a bit about this and how the idea came about? The traditional medicine model is: use it, abuse it, and then let the doctor fix it. Traditional medicine does not promote prevention, health maintenance, or nutrition. Traditional medicine embraces intervention and symptom management. I call this sick-care. The iVitamin Bar was launched to promote health-care. As a physician who treats serious illnesses with a natural and non-toxic approach, I find most patients only turn to us when traditional medicine has failed them. When receiving a life-threatening diagnosis, a patient is quickly put into an invasive treatment program with little or no time to research their options and alternatives. If they were aware of the powerful healing abilities of a natural approach before becoming ill, they might chose this option as their first resort rather than their last. Therefore, my goal with The iVitamin Bar is to expose people to these natural therapies as a means for prevention and to educate them about healthier and safer options for treating disease should they become ill. People are beginning to recognize that they can prevent disease by making healthy choices right now. Organic, non-GMO, gluten-free, whole-food diets are the new norm and readily available with Whole Food stores popping up on every corner. Vitamins, supplements and nutriceuticals are also commonplace. Medical guidance, however, is much harder to find. The iVitamin Bar offers that in a hip, social and therapeutic setting. We take the intimidation out of visiting the doctor’s office by offering a serene setting where you can enjoy your IV drip while surfing the internet on one of our complementary iPads, relaxing in a massage chair or enjoying an aromatherapy oxygen therapy. We also offer educational seminars, holistic nutritional counselling and detoxification programs. 3. Now, you were originally trained and practised for many years as a Medical doctor, in particular anesthesiology, before moving into alternative and holistic medicine. So what caused you to make that transition? Was it a particular moment or did you just start to lose faith in Western medicine? I practised anesthesiology for about 15 years. Through my years in a hospital setting, I came to realize that traditional medicine was driven more by the profits of pharmaceutical companies and hospitals than it was on providing the patient with the best possible care. In spite of this knowledge, I did not see any way to change this dogma. Little did I know then that my life was about to change and take me down a new path where I would challenge this dogma every day. It happened 22 years ago when I suffered a career ending hand injury. With too much time on my hands, a friend mentioned a medical director position at a chelation therapy clinic. I knew nothing about chelation therapy but after meeting with the clinic’s owner, I decided to take the position. I honestly thought I would prove to myself that alternative medicine was quackery, but that didn’t happen at all. What I learned is the body has an innate power to heal and through natural therapies, you can give the body the tools it needs to effectuate that healing. This was truly an enlightening and exciting time in my life. There were a couple of epiphanies that occurred that led to my enlightenment. The first came when a high blood pressure patient receiving chelation therapy complained of being lightheaded when he stood. I reviewed his chart, recognized his blood pressure was too low and I decreased his medication. That result baffled me. This goes against all medical school teachings. People with high blood pressure do not improve without drugs. The second revelation was reading a news clip about Nicola Tesla. He was asked why he chose tungsten as the filament in the incandescent light bulb. He answered that it was because he never attended university. When the reporter asked what he meant by that, Tesla said that if he had of attended university he would have never tried tungsten because the professors taught that tungsten would not work. My educational career flashed across my mind’s eye and I realized that my professors had limited me as well. 4. Your book, Cancer is a Symptom, is definitely one of the most informative books I’ve read on this subject. What I love most is the fact that you make the patient aware that they are responsible for their cancer (and actually caused it), but at the same time, making them aware that the power to fix it is within their control and not their doctors. Many people have argued though that this “blame” approach as some have called it is cold and uncompassionate. What do you say to this? It is not about blame but about responsibility and empowerment. When I started Utopia Wellness I decided to study and try to understand the foundation for cancer - all cancers. For more than 10 years, I searched to understand why it is the two viruses which cause cancer according to Royal Rife, have such a diverse presentment, i.e. breast, liver, colon cancers etc. In other words, why do different organs allow the cancer virus to colonize them and grow? Yet, year in and year out, the flu virus has pretty much the same presentation, i.e. head, neck, and lung. The flu lasts about 7-10 days if your immune system is competent, yet cancers have all sorts of duration's - why? Throughout my career, I have taken the position that everyone who comes to Utopia Wellness is there to learn how to heal while, at the same time, teaching me something I need to learn. One of the things my patients have taught me is what you think and believe directly affects your outcome. For instance, the first word that comes to mind when a person hears a cancer diagnosis is death. If the person embraces this outcome and accepts it as reality, no treatment on earth will help them. Emotions and feelings will prevent their ability to heal. The concept that we could be our own worst enemy, or that our actions may result in cancer may be difficult for some to accept. I try to educate the reader and make them willing to explore the possibility that their own emotions and feelings could be part of their problem. It is designed to empower people to take a hard look at the choices made and to offer them options to heal themselves, since ultimately they are their own healer. 5. In 2014, you co-authored a wonderful book with your good friend Bill Henderson... Cancer Free (4th edition). Sadly, Bill passed away recently due to complications from a blood transfusion. How would you best describe Bill and want him to be remembered for? In memory of Colonel William “Bill” Henderson. Although Bill was not formally trained in the medical arts, he was able to pierce through the veil of illusion and medical misinformation to arrive at the truth which medicine fails to share. This truth is that each one of us is our own healer. Our body is designed to heal, provided it has a competent immune system. Bill, who also forged down the cancer path with his wife, faced the muck and dogma, both medical and social, throughout his life but he always stayed true to his path and never wavered even in the face of overwhelming odds. Many professionals and others lacking credentials, scoffed at Bill’s work, mainly because he exposed the truth about medicine and shook comfort zones. Bill was a warm-hearted, honest, honorable man and a natural leader who helped many people rid their bodies of cancer. My life is better because he was part of it. I will always admire Bill for being the great humanitarian that he was. Bill, my friend, this one’s for you with admiration and gratitude. 6. One of the biggest epidemics sweeping the world right now Dr Garcia would have to be the obesity epidemic. You have a medical weight loss program at Utopia Wellness that sounds interesting. What does this protocol entail? Our approach is very different from other types of weight loss programs. Our holistic approach treats the whole person. Contrary to other programs, ours is not a diet. It is not about counting calories or dangerous diet pills. Ours is about helping patients to change their thought process and providing them with the essential tools to help them commit to lifelong lifestyle changes. It’s about feeling the healthiest they have ever felt, in the best body they have ever had. Our patients receive nutritional counselling from our certified holistic nutritionist who assists them in navigating through the process of healthy weight loss. 7. 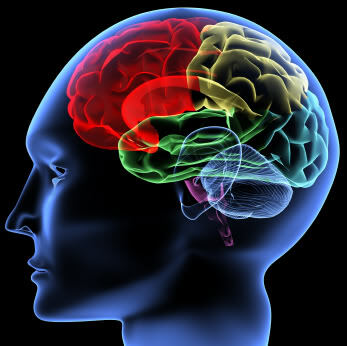 You have some terrific patient recovery stories on your website… utopiawellness.com/patient-stories. Most of these people seem to have done the usual “conventional” cancer treatments such as chemotherapy and radiation first before coming to you. Does this make it harder to help them? We know that chemotherapy and radiation destroy the immune system and end up doing more harm than good? Unfortunately, many of our patients seek out alternative therapies after traditional medicine has failed. When they receive their diagnoses they are in shock, fear, and panic. They are often told they will die without conventional treatments and regrettably chose this route without even time to process the ramifications of that decision. So yes, many of our cancer patients are late stage who have extremely compromised immune systems. When you take a weak immune system and further debilitate it, of course it takes more time to rehabilitate it - however it is not impossible. The body has remarkable recuperative powers. There is a paradigm shift occurring, however, and we have recently been receiving more patients who are choosing a natural approach before chemotherapy and radiation. They often cite their decision is a result of watching a friend or family member painfully struggle through chemotherapy and not survive. This is quite exciting for us. The early intervention will increase their success rate tenfold and give more credibility to the efficacy of a natural approach to cancer. 8. I like your approach to treating cancer, that is, a holistic approach. This is exactly what we advocate also. It seems that cancer researchers though are still looking for that magic bullet cure (or that “money making” cure) and continue to focus almost exclusively on genetics. So what’s your opinion on this whole “genetics and cancer” thing? The American economy cannot afford to ‘cure’ cancer, at least not for the general public. Cancer is the second largest industry in America. The American economy relies on pharmaceutical consumption. A “cure” for cancer or other major illnesses will result in a cataclysmic depression dwarfing that of 1929. But let’s talk about genetics. Most Americans are unaware what a gene really does. The best way to explain genetics is with the wardrobe analogy. You own a wardrobe, which has everything from beach wear to formal wear. Clearly you might not wear a formal outfit to the beach, unless there was a wedding requiring it. Similarly, you would not wear a swimsuit to church on Sunday. Therefore, the wardrobe is your genetic make-up. If you don’t own the outfit, you cannot wear it. Wearing an outfit is its expression. That is, if you don’t wear it no one knows you own it. Genes are similar; if you express the gene then everyone knows you have it and that the gene is being expressed or active. If you don’t express the genetic trait then it is not active. So the two components for genetics are: first you need to have the gene (the outfit), secondly, there has to be a prompt for its expression (a reason to go to your wardrobe, select the outfit and put it on). The part that is never, or rarely discussed with the public is the prompt to express the gene. The prompt can be both environmental, we’re going to a formal affair, or I want to wear this outfit because it makes me feel good about myself. I question the use of genetic testing to determine a person’s predisposition or risk of developing cancer. For what purpose is the knowledge being used? In my opinion, it is being misused as a means to pressure people to undergo unnecessary and life-altering surgical procedures and chemo preventive risk management options. I believe these “preventative” measures do absolutely nothing to avert cancer. To the contrary, these measures weaken the immune system and may actually act as the “prompt” for gene expression. The most common use of genetic testing to determine risk is the BRCA1 and BRCA2 genetic mutation test. Women who have this mutation are being coerced into prophylactic mastectomy in the hopes of preventing breast cancer. I whole-heartedly disagree with this. It is impossible for all breast tissue to be removed during a surgical procedure. Even with the most advanced surgical techniques, it is impossible to remove every milk duct and lobule, given the extent of the breast tissue and the location of these glands beneath the skin. Moreover, the procedure does not guarantee you won’t develop breast cancer or cancer in a different location. 9. You seem to have a dedicated team working with you there at Utopia Wellness? I watched your introductory video. It was inspiring and very professional. I have been very fortunate to find team members that share my passion for natural and holistic remedies. With holistic healthcare, several modalities are utilized that require specialized training and expertise. Finding that type of talent is a challenge in and of itself. Finding people who possess these skills and also possess extreme compassion, love and empathy for every patient is extremely rare. I feel privileged to have formed a team made up of people just like this. The one thing I hear from patients over and over is that Utopia Wellness’s team feels like family. 10. Well Dr. Garcia, I promised you no more than 10 questions so here’s my last one. Before give it to you, however, I would like to invite all of our readers and followers to check out utopiawellness.com and theivitaminbar.com. You can also follow Utopia Wellness on Facebook and YouTube. So for my final question I would like to ask you what you have planned for the near future? Are there going to be any new innovations happening at Utopia Wellness, or perhaps even a new book? It will always be my mission to help people help themselves through education, prevention and natural remedies. I have also started work on a new book. I plan on providing natural remedies for non-cancer illnesses. When it’s done I will send you a copy. As for new innovations, I am always changing how I approach the treatment of disease. The collaborative efforts of doctors like me around the world are uncovering new breakthroughs every day and I will continue to learn and evolve. As I tell all of my patients, if you come to see me next year and I am doing the same thing I am doing today, you may want to find a new doctor. We await your new book with baited breathe! Thanks again Dr Garcia. All the best to you.